ZTE's sub-brand, Nubia, plans to bring its Z11 flagship handset to the U.S. in September. The Z11's defining feature is the unibody aluminum chassis and bezel-less design. The 5.5-inch full HD display is borderless and has 2.5D glass to help make the seams more flush along the edge. The phone is powered by a Snapdragon 820 processor with 4 GB of RAM and 64 GB of storage. The main camera has 16-megapixel sensor with optical/electronic image stabilization and the front camera has an 8-megapixel sensor. The device has a 3,000mAh battery and supports Quick Charge 3.0. It packs a USB Type-C port, a fingerprint reader, and a memory card slot. 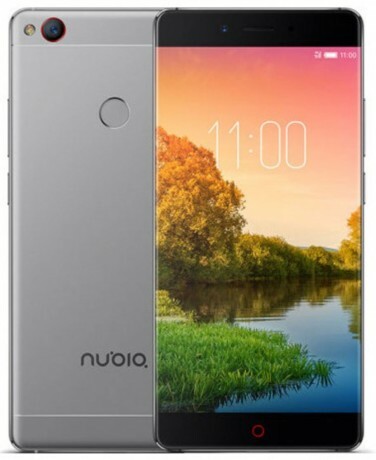 The Nubia Z11 runs Android 6.0 Marshmallow. The price is about $490. OnePlus today announced its third-generation flagship smartphone, the OnePlus 3. The 3 features a sleek, unibody design milled from a single block of aluminum and it measures 7.3mm thick. Samsung today announced the Galaxy Note7, its premier smartphone for the year. The device is narrower than last year's model in order to make it easier to hold, and uses a sturdier aluminum frame with symmetric slabs of Gorilla Glass 5 on either side. ZTE today announced the Axon 7, its flagship smartphone for 2016. ZTE designed the phone with the help of BMW Group's Designworks studio. Xiaomi today announced the Mi Mix 2, its second-generation showcase handset with a bezel-less design and ceramic chassis. This year's phone dials back the size a bit. Xiaomi today revealed the Mix, a nearly bezel-less handset that targets the ultra premium market. The company calls the MIX a "concept" that will be sold in extremely limited numbers.